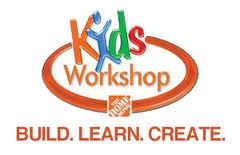 On Saturday, October 12, 2013 at 10 a.m., Lowe’s has a Build and Grow Kids Workshop where kids will be able to make a FREE Spooky Stacker Game. In addition to making the free Spooky Stacker Game, your child will receive a FREE apron, goggles, and more. You’ll want to hurry and register because spots are filling up fast!